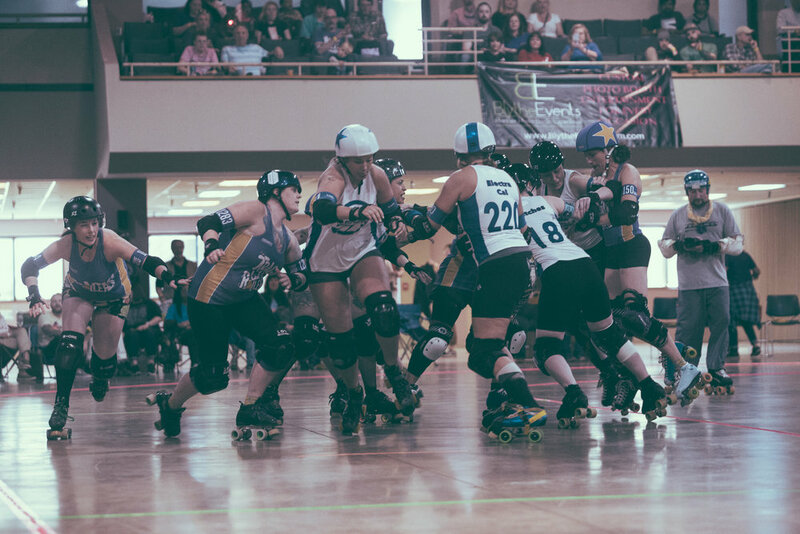 The skating surface of the Zamora Shrine Center in the Irondale area of Birmingham, Alabama wasn’t for the faint of heart on March 23rd as the Tragic City Rollers engaged Nashville Roller Derby in a hard hitting and highly physical roller derby bout. 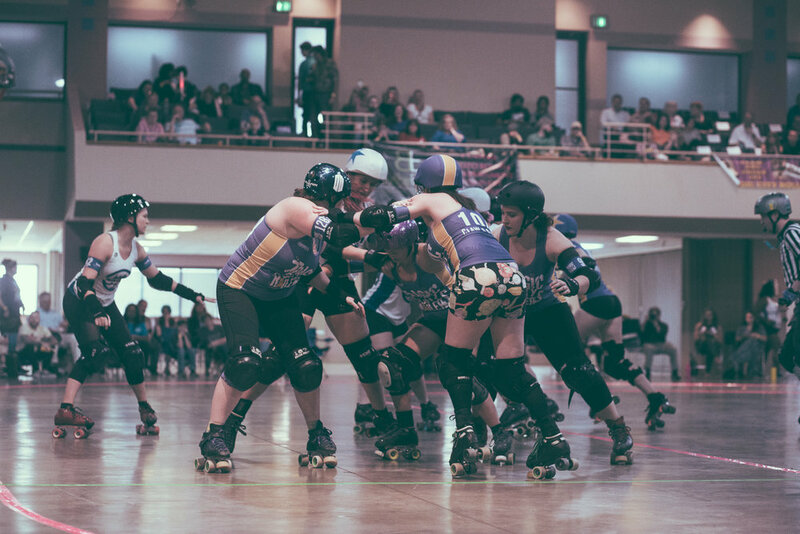 It had been a decade since these two teams played each other, and all the participants laid it on the line to try and prevail in the contest. 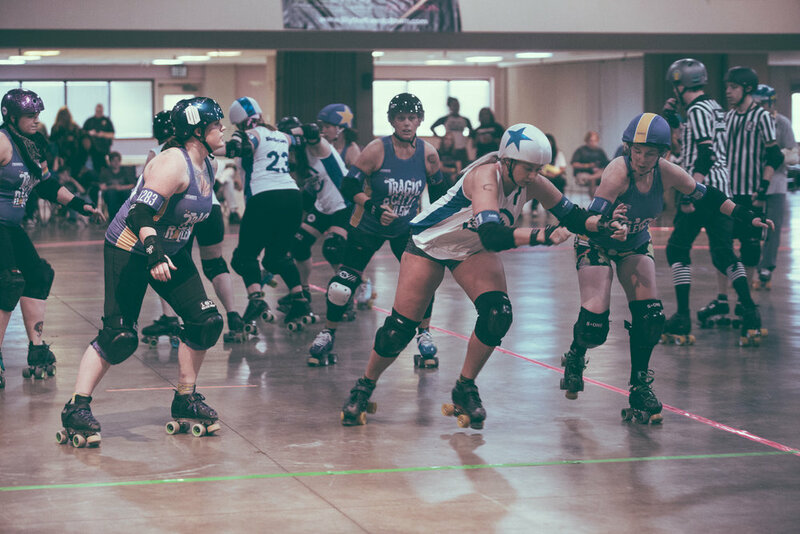 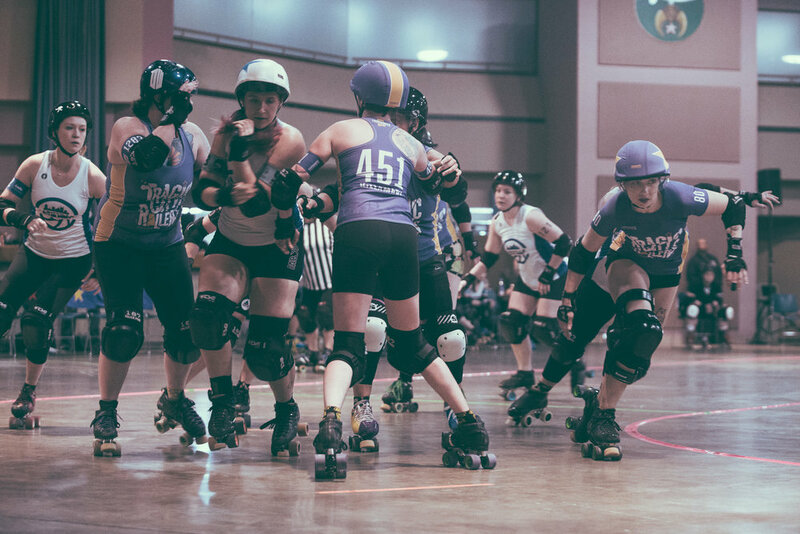 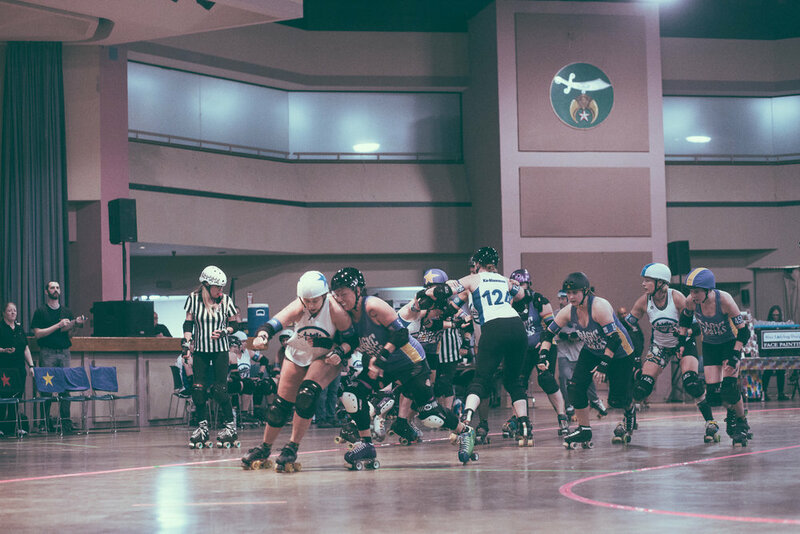 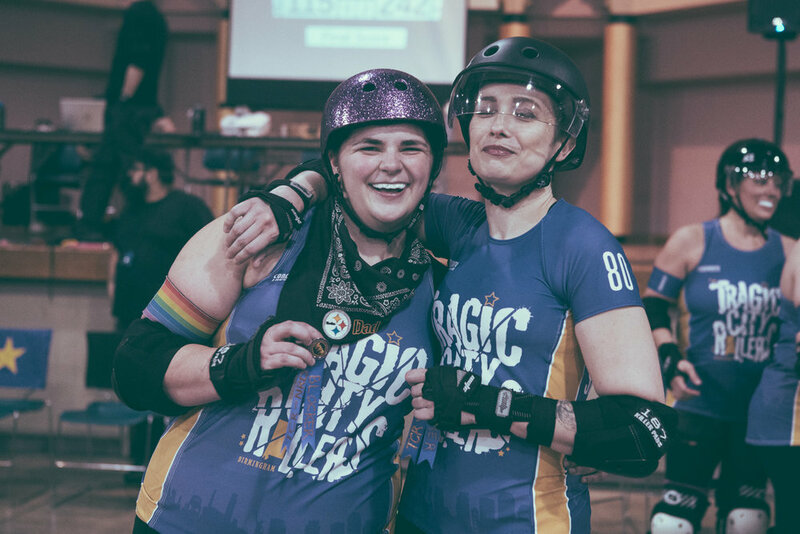 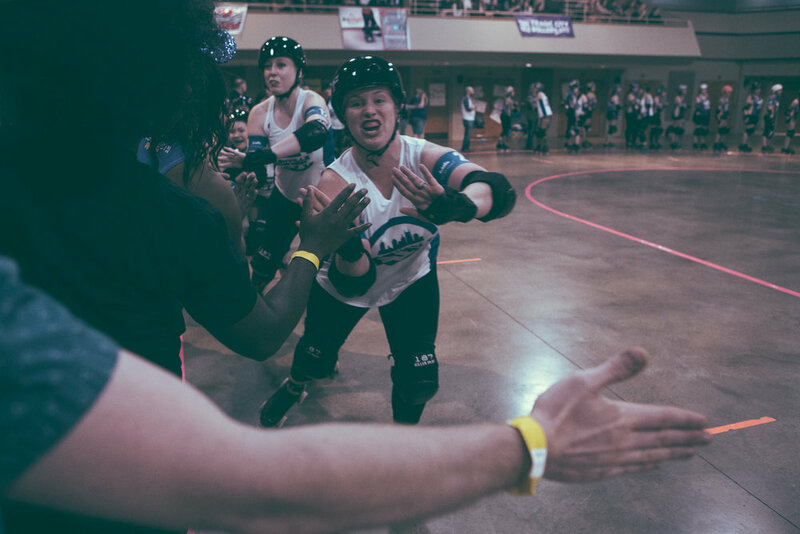 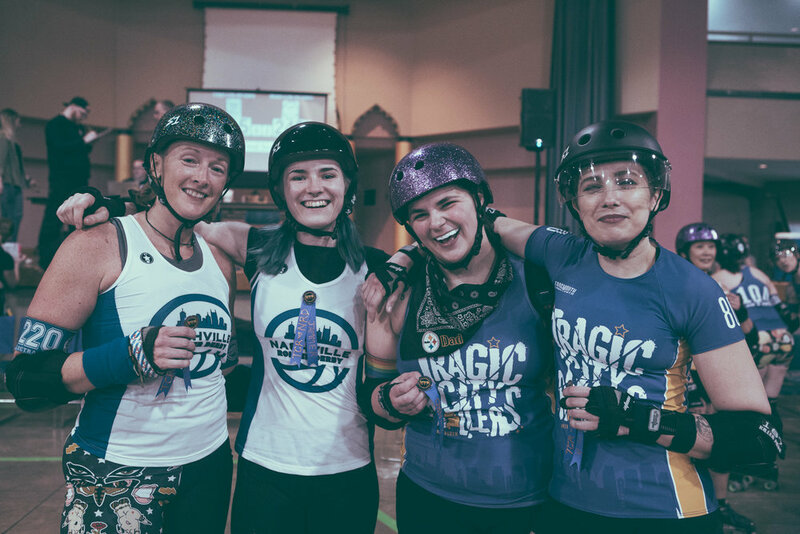 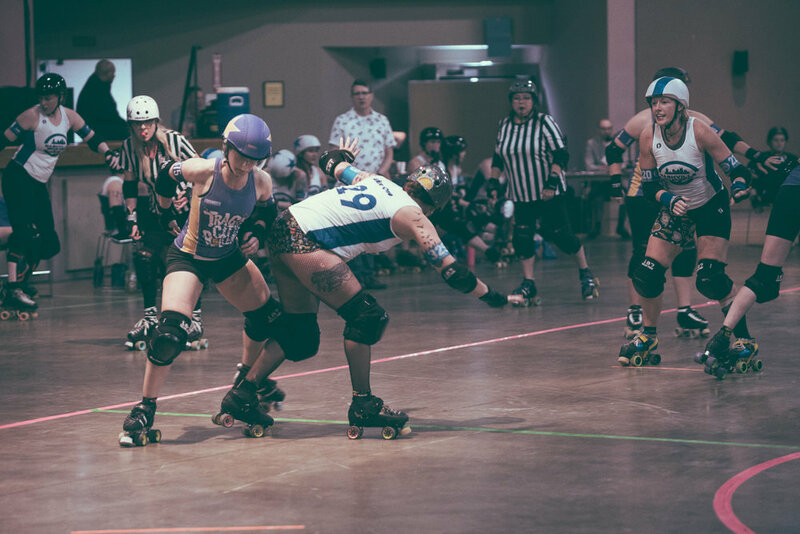 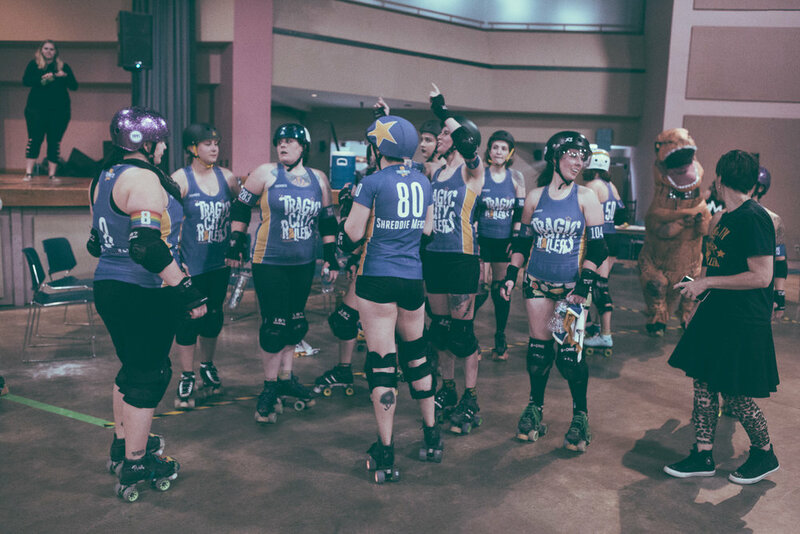 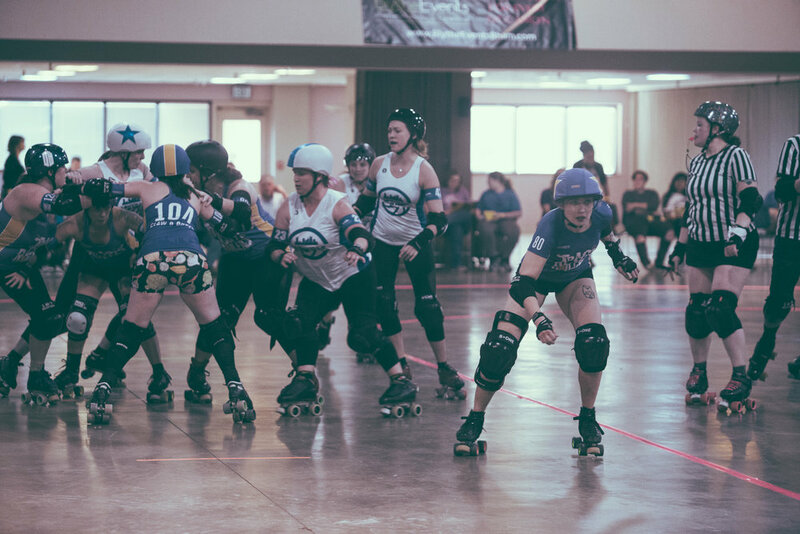 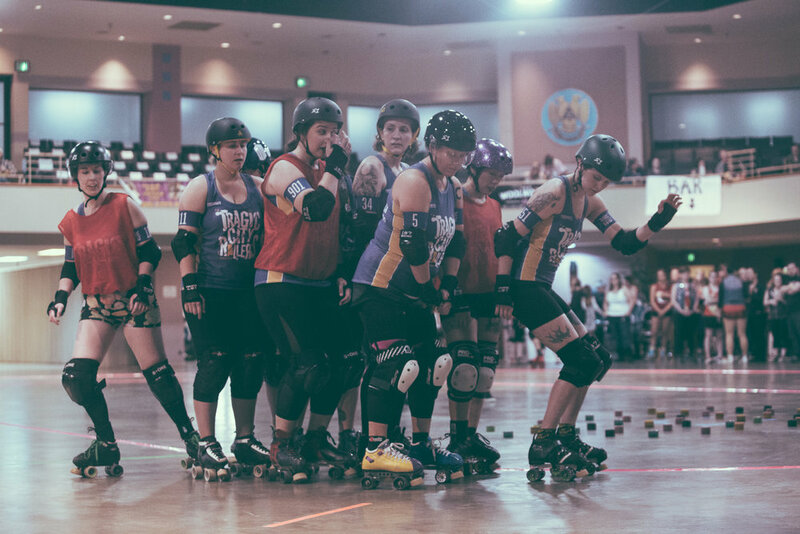 Even though the Tragic City Rollers put up a valiant effort, the stifling defense of Nashville Roller Derby proved to be too much to overcome as the visitors from Tennessee took the bout by a score of 242-115. 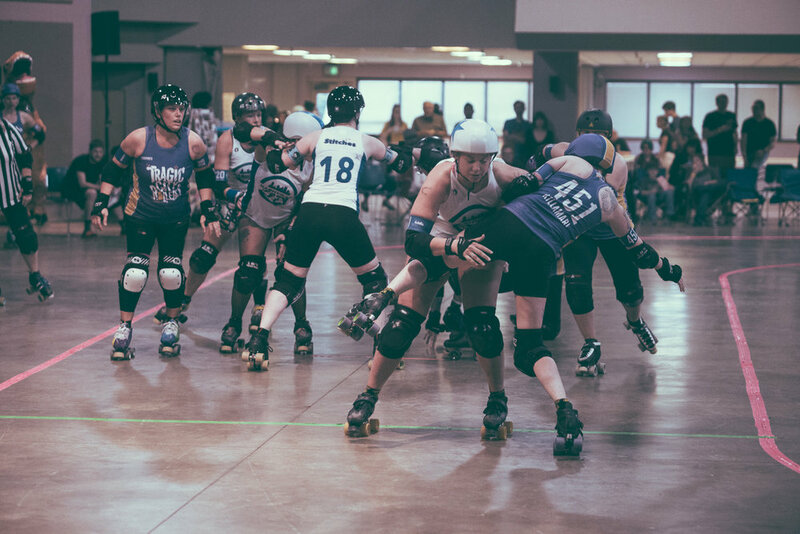 Please enjoy a sampling of photos from this roller derby bout between the Tragic City Rollers All-Stars and Nashville Roller Derby. 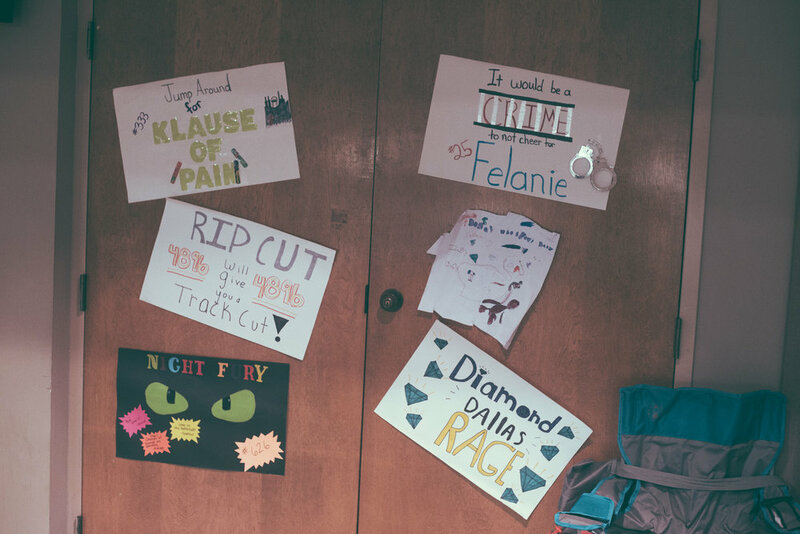 Photos are presented in chronological order. 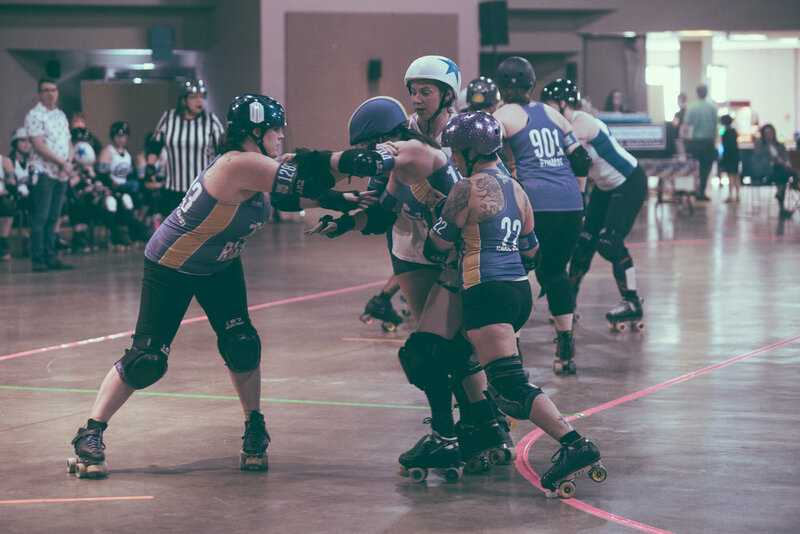 If you were a skater in these bouts or are associated with a skater and would like to see more photos from the evening, please CONTACT me directly.